I don’t see eye to eye with Senator Lindsey Graham on a lot of issues, but on this one, he’s exactly right. President Trump has already appointed one Supreme Court Justice. He could be in line to appoint as many as three more before he is done. Anthony Kennedy is 80 now and it is being widely said that he plans on retiring next year. Ruth Bader Ginsburg is 84 and frail. She may be forced to step down soon, whether she wants to or not. Stephen Breyer is 78… his time is ending before long as well. So, you see the claim that Graham is making is absolutely plausible. 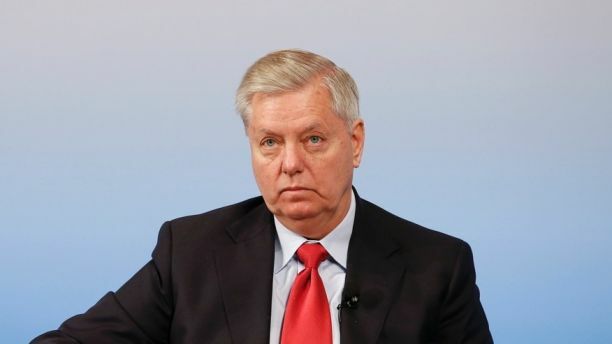 I find myself also agreeing with Graham that the whole Russia issue is now standing in the way of getting Trump’s agenda passed. That has to stop immediately. Like Gowdy and Graham, I believe that the special counsel should conduct the Russia investigation off to the side, but that it should be done to exonerate the President. Otherwise, the left will keep dribbling out one charge after another. We need to finish this and put it behind us, so we can move on to life and death issues such as healthcare, taxes, jobs and national security. Friday on Fox News Channel’s “America’s Newsroom,” Sen. Lindsey Graham (R-SC) elaborated on a claim he made earlier in the week to a group in Washington, DC, which was President Donald Trump could appoint as many as four Supreme Court justices during his presidency. Graham said the Russia was “standing in the way” of Trump getting some of the things completed on his agenda. However, he said the Supreme Court was still very much in play. And I can’t believe I’m agreeing with Graham on yet another point… healthcare. It would be better to let each state deal with the issue than having the federal government do it. States can also cut their taxes, fix their infrastructure and help with military recruitment. All of that is on point and Trump does have a good agenda. Many people don’t realize that Trump is appointing a whole slew of lower court judges, who could be vetted for the Supreme Court. All of this is part of the work he is doing and the media isn’t covering it. The fact that President Trump could pick three more Supreme Court Justices is huge. It will change the makeup of the High Court for decades to come. Neil Gorsuch was an excellent choice. He’s an originalist and a constitutionalist. It is my hope that if President Trump gets to choose more Justices, that they are of the same mold. The Court could go conservative indefinitely if he does so. That’s a hell of a legacy all by itself.